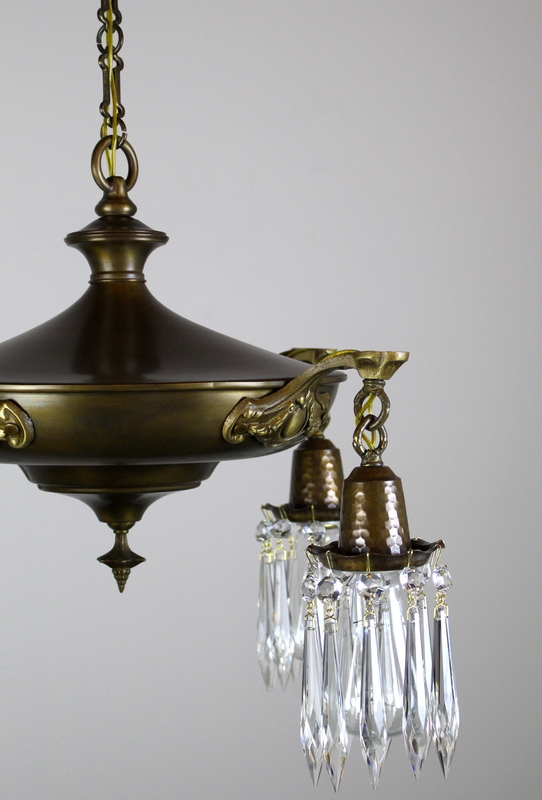 Sturdy 4 light pan fixture. 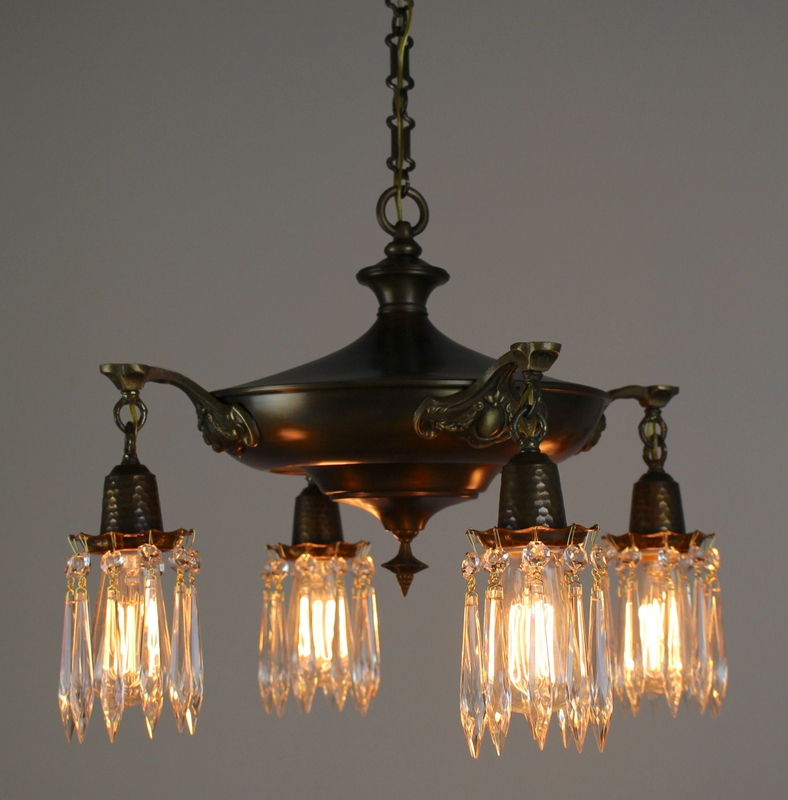 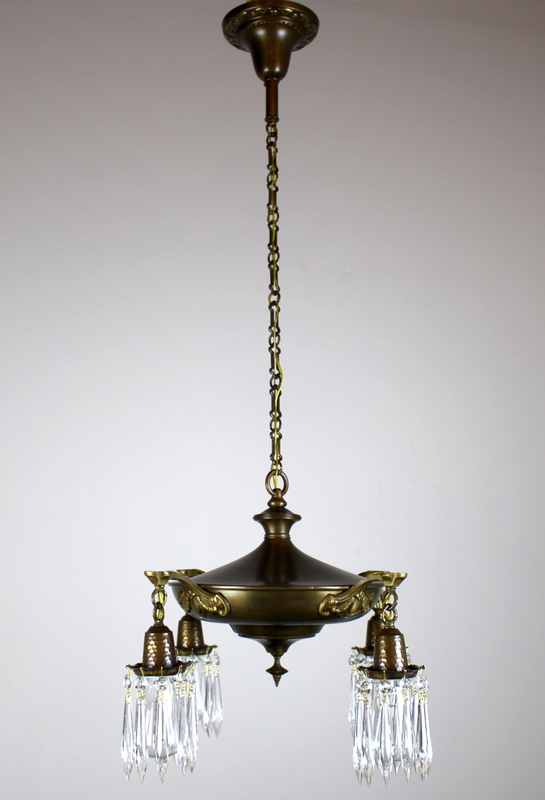 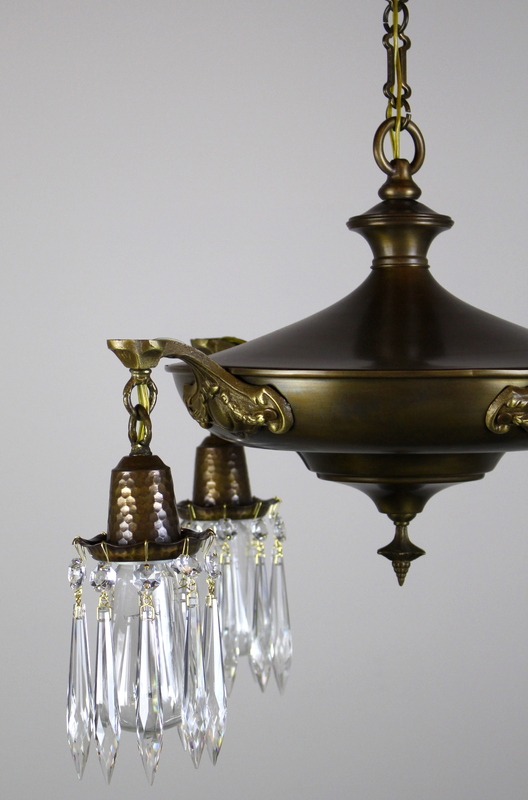 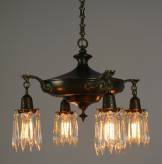 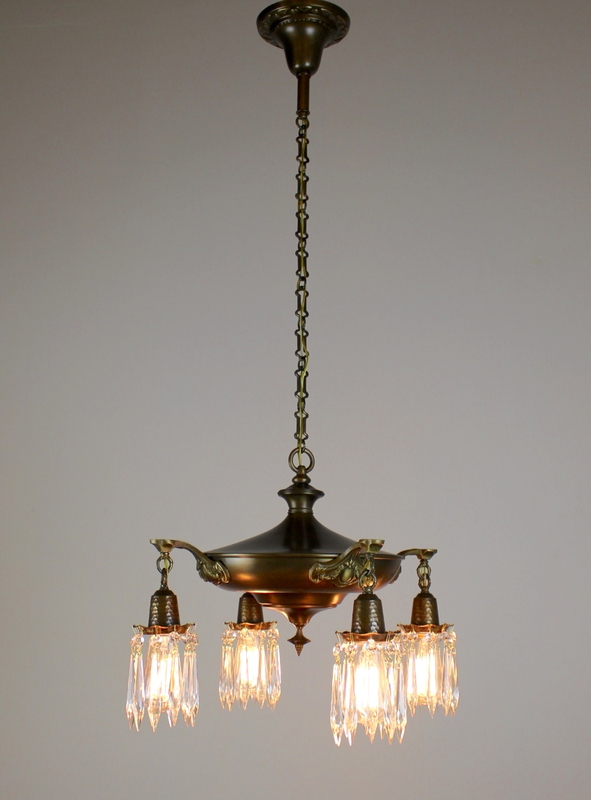 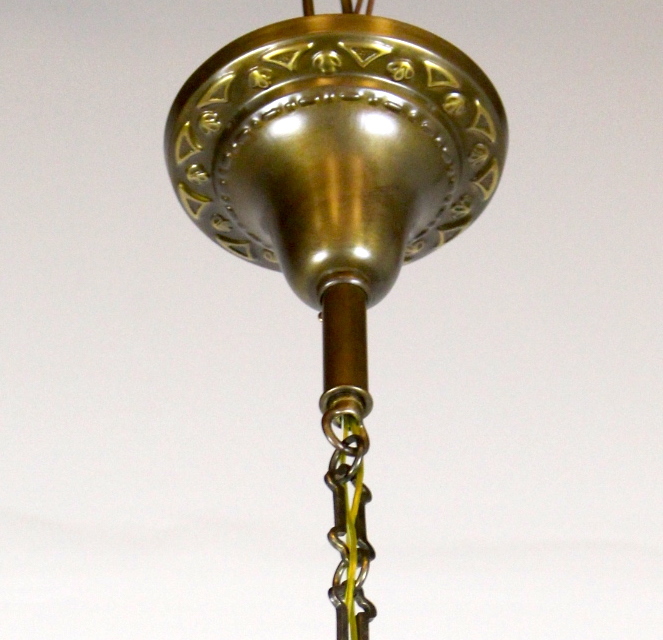 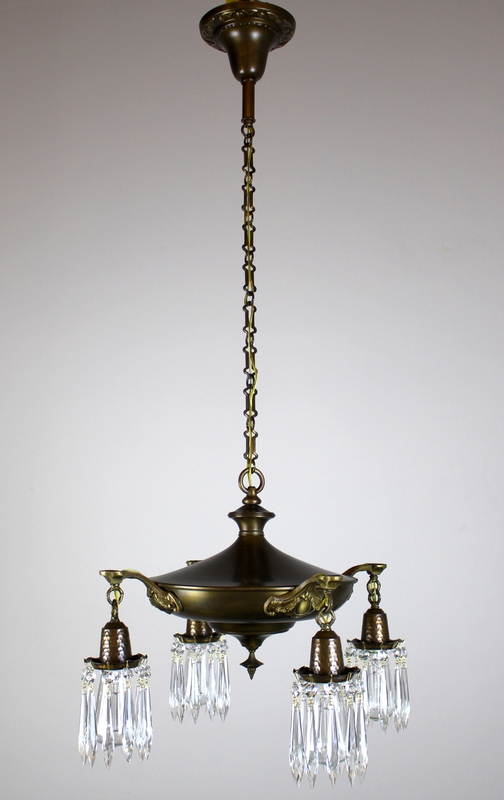 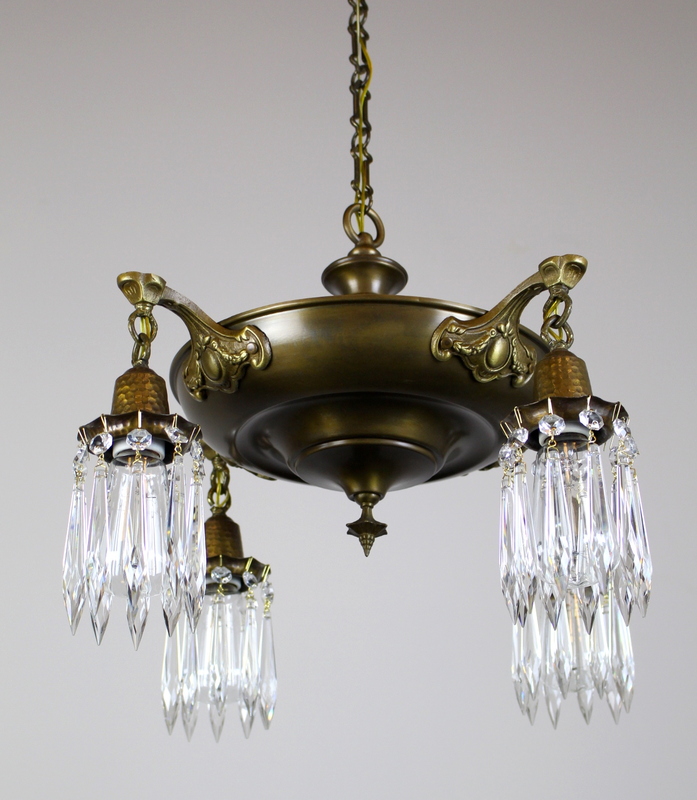 C. 1915, this light is finished in a two tone antique brass with details highlighted. 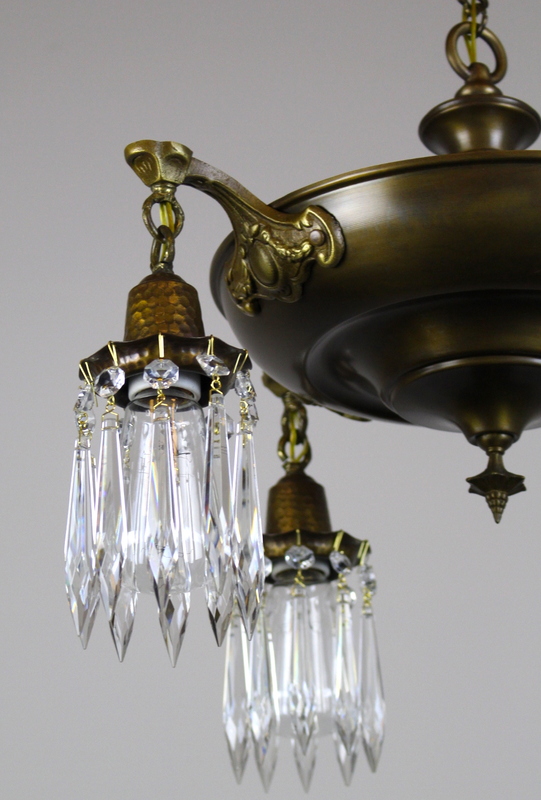 The decorative chain and crystals hanging from each of the hammered bulb holders really set this fixture off.